Implementing an Uninterruptible Power Supply system in any data center, of any size, faces challenges and potential pitfalls. 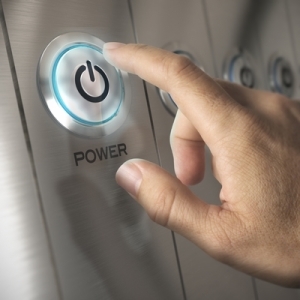 While the end game of installing a UPS system in a data center is added protection against power failures, choosing the right UPS and implementing it can be fraught with problems. This is true in any size facility center but in large locations with large installations, the problems compound and increase. One of the first areas that can be challenging is choosing the right Uninterruptible Power Supply system for a large scale application. With increased power demands and more complicated infrastructure, the more performance ability and capacity a UPS system must have. Modular systems can be helpful as the offer scalability as needs change. Because implementing a large scale UPS system can present challenges, it is best to walk through the entire facility to ensure the proper infrastructure is in place before any system goes live. The more due diligence you do, the less likely there will be errors in choosing the appropriate UPS, components such as batteries, or anything else. Each problem encountered not only wastes times and slows the process down but can also be quite costly. Additionally, it is wise to examine the data center to make sure necessary items, such as proper amount of electrical outlets, are in place before you order your backup power system and attempt to implement it because the last thing you want to do is overload it and create more problems than solve them. Many data centers with high capacity and big demands may consider implementing a large-scale parallel UPS system for increased redundancy and protection. Through the use of a PDU (power distribution unit), and a communications cable, parallel systems in tandem to support critical data loads so that, should a problem occur in one system, the parallel system can support the load in the interim. In addition to systems working parallel for redundancy, UPS systems can be connected together so that their combined power supports the demand in a team effort of sorts. This cannot be done by combining any backup power supply systems that you can get your hands on but, rather, manufacturers create systems capable of being configured to work together. Finally, the location that experiences success when implementing (or terminating) anything on a large scale does so not by happenstance but with careful planning and consideration. In the end, the most important thing is to protect uptime and mission critical information. Make a plan for implementation or termination of your data center UPS system, ensure that batteries are properly functioning, make sure everyone is on the same page and then execute the plan, being sure to have a backup plan in place in case anything should go wrong. After all, data centers know that redundancy is often the key to success. This entry was posted in Back-up Power Industry, Data Center Battery, data center equipment, Data Center Infrastructure Management, DCIM, Power Distribution Unit, Uninterruptible Power Supply, UPS Maintenance and tagged Uninterruptible Power Supply, Uninterruptible Power Systems, UPS, UPS Batteries, UPS maintenance, UPS Systems. Bookmark the permalink.